today i wanted to take a moment to appreciate another one of my absolute favorite bloggers: lydia of style is style. two years ago, when i first started sharing outfit pictures online, lydia was one of the first outfit bloggers that i discovered, and i’ve been a fan ever since. i was immediately drawn to her fearless style and ability to work with any color under the sun. she is a major inspiration for me, and i love checking her blog for all of her new outfits. not only that, but she has the most infectious smile ever! almost a year ago, i actually had the opportunity to meet lydia during new york fashion week. i still remember coming out of the elevator and stepping out into the lobby. the moment i saw her, i squealed and ran over to give her a big hug. and that was our first introduction. she’s just as awesome as you might imagine browsing through the pages of her blog. and that’s what i wanted to share today! Oh what a cutie – thanks, I hadn't come across her blog before. My blog reader is groaning at the seams but I will certainly add Lydia! Her outfits are so adorable; she has such a great style! Thanks for featuring her, I'm going to go check her blog out right now! It's true, she is an inspiration to all. She is SO good at styling outfits, she mixes colors I'd be too scared to try to mix, and she always looks amazing! she's great !!! thanks for letting me know about her blog! I'm a follower ! aw she's one of my faves too! 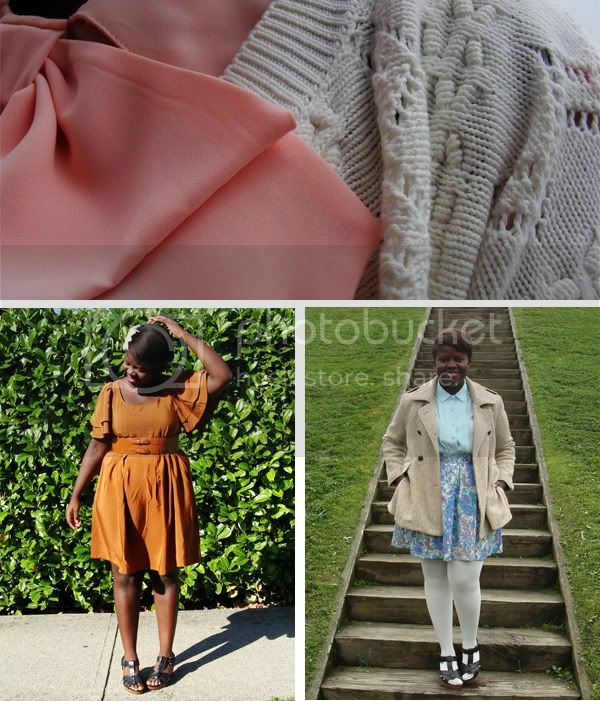 I've not seen her blog before, but she has amazing style!! Will definitely be following her from now on. She is one of my favourite bloggers too – fabulous style. What great inspiration she is! I love how she works with colours and textures. love her blog!! she is so adorable, not to mention very creative in her outfits. Oh she is so lovely! Adding her to my bloglovin right away! Her use of colour is amazing! I have seen her from afar on chictopia. You are so right. Infectious style and smile. She is a beautiful girl.. I am heading straight to her blog ! Wow I love how she works with color, off to check her out! ERIN!!! You are the sweetest, I wanna hang with you again! I am seriously considering a roadtrip to San Fran this summer, I will try my darndest to see you. Thank you, thank you, thank you! I've seen her pretty outfits many a time in the past and I'm glad she's getting recognized for her fabulousness. Thanks for telling us about her. I am going to follow from now on. I really like the outfits you've posted. Oh, I've never seen her blog before and LOVE these photos! Thanks for sharing!! 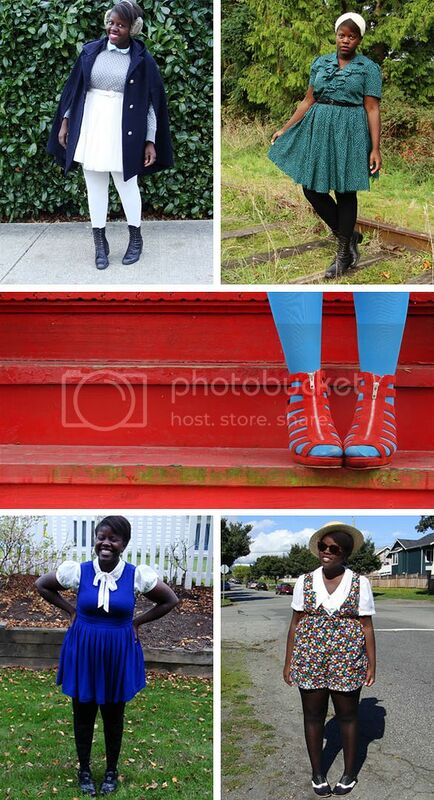 She has great style and I can see how you share some of the same influences. I particularly love the orange dress. Thanks for sharing. I want to check out her blog now! Really love those bright colors she's wearing. She has the best combinations! She looks gorgeous in the brown dress! She's so cute!! Really sweet. I love her clothes! YAY! NEW BLOG TO FOLLOW! I'M INSPIRED…GREAT POST!